The book seems very adorable at first. A tree really loves a little boy and plays with him, gives him anything he needs, and tries to be of service to him throughout his life. It gives him apples, branches, even its trunk until it decreases to nothing but a stump. The underlying message that I picked up while I read along was what ruined it. 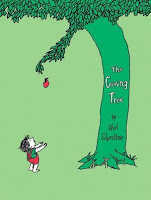 The little boy uses the tree constantly for his needs without doing anything in return. He makes the tree happy, but this happiness is always short-lived, because he always leaves again. Branches and apples, tree body parts, is a large price to pay for happiness. 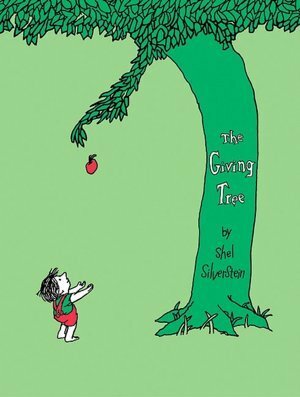 The boy grows up throughout the book, and the tree never ceases to love him. Our protagonist, however, does not return it. He always needs something and expects the tree to aid him one way or another. Until the end, he does nothing for it except play in it, only when he was young. What a selfish little boy.